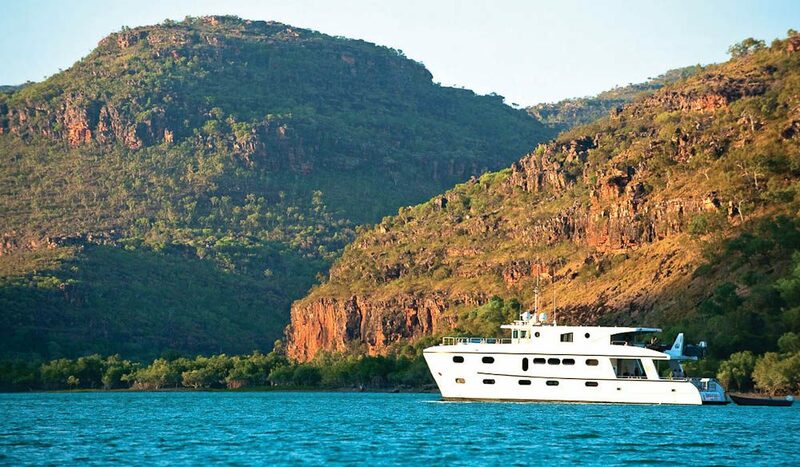 Cruising Kimberley options range from regular luxury to true luxury. Swallowing up one-sixth of the whole of Western Australia, the Kimberley is vast, remote and almost a world apart from anything else you’ve ever seen. Rugged red cliffs cascade with violent waterfalls; silent swimming holes lie hidden in rocky chambers; ancient rock paintings tell ancient tales, and wild and dangerous beasts lie in wait. A tour of this region is probably best suited to older children, so they can really appreciate the incredible nature of the journey. Cruising the Kimberley coastline: THE most spectacular Australian holiday?